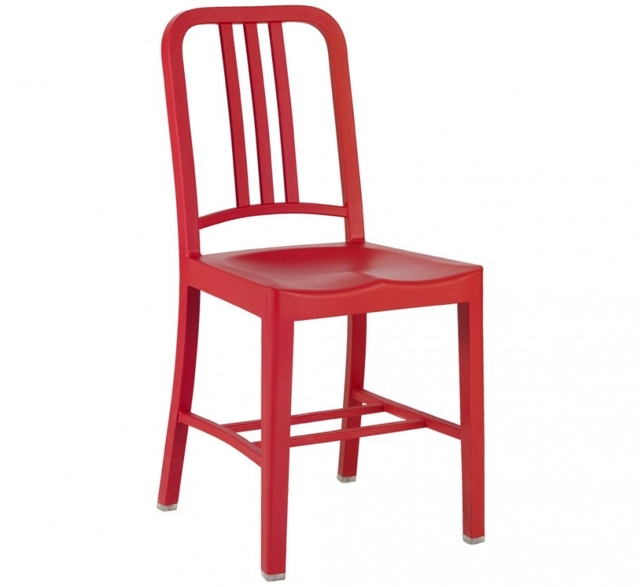 The 111 Navy Chair is the result of a collaboration between Emeco and Coca-Cola. Made from 111 recycled plastic Coke bottles. Production of the chair is expected to keep three million plastic Coke bottles out of landfills each year. 65% recycled post-consumer PET plastic bottles 35% pigment, glass fibre and fire inhibitor. Modelled on the iconic 1006 Navy® Chair. Suitable for outdoor use. Available in a variety of colours.